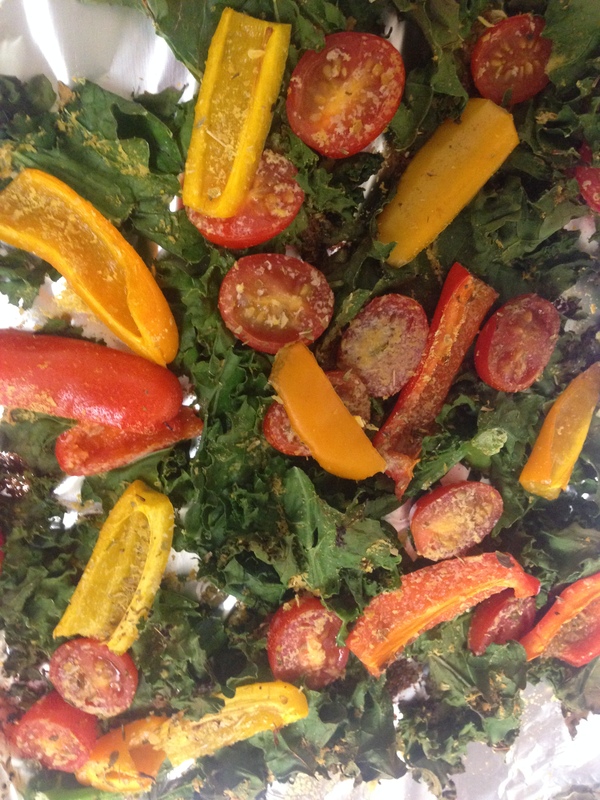 One of the many things that makes kale different from all the other greens is that it can actually survive the oven. While iceberg, romaine, and spinach will wilt when heated, kale becomes a nice crispy product, opening the door for a variety of new dishes. Below is what I like to call a “roasted salad”. There’s only so many cold mixed salads one can eat day in and day out (fear not raw fans, their day in the box will come). Change it up with the right seasonings and get to toasting.